We read numerous success stories and they often feel unattainable. They tell us about those who have achieved the recognition of millions: Coco Chanel, Estee Lauder, Oprah Winfrey, Indra Nooyi. However, rather than providing inspiration, their successes often seem to overpower us as we struggle to imagine ourselves in the shoes of a star. We would like to tell you a different success story – one that you can relate to, as it is taking place here and now. It is about a girl who dreamt about making dresses, practiced her skills to become a journalist and wrote about fashion before setting up her own clothing brand. She came a long way from the far-flung Russian island of Sakhalin to Dubai. Where after just four years since launching her label, she was hand-picked to officially represent the United Arab Emirates as a designer who had embodied a modern interpretation of the bedouin heritage. Katya Kovtunovich tells her story in her own words. I started making clothes for my Barbie when I was seven years old. I wrote my first articles for the children's newspaper «Treasure Island» in my home town when I was nine. At eleven I became an editor of a doll fashion page. Writing about fashion was as exciting as creating fashion. However, I was certain that in order to become a serious fashion journalist I should first become an expert in fashion. And where was the best place in the world to do that? I have always considered London to be the center of the modern fashion industry and an ideal place to learn about it. London has given the world the talented John Galliano, who was then the creative director at Dior, as well as my idol Alexander McQueen and one of the world's top fashion journalists - the legendary Suzy Menkes, Tim Blanks, Sarah Mower and my favorite Susannah Frankel. Even the editor-in-chief of American Vogue, the omnipotent Anna Wintour, is from London. Therefore, I have made the choice to come to London very consciously. 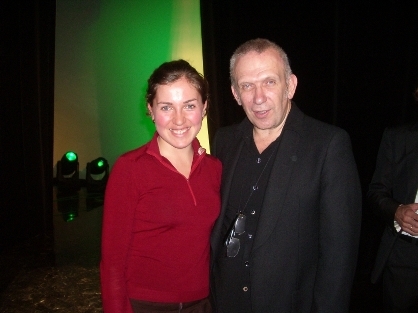 I learned about «doing internships» from an interview with Alexander McQueen that I read in Russian Vogue. In it he was telling the story that his father was a taxi driver and could not pay for the tuition at a prestigious fashion school. Young McQueen went to work as an unpaid apprentice, that led him to fulfilling his dream and becoming a professional designer. I was very inspired by his story and I carried it through in my own life. In 2005 I graduated with a degree in Linguistics from St. Petersburg State University, enrolled in the cheapest English Language school in London, got my student visa and bought a plane ticket. I left with only 200 US dollars in my pocket, which was just enough to pay for accomodation in a student hostel for the first two weeks. I knew that fashion internships would be unpaid (if I was even lucky to get one! ), so I immedately started looking for a job. As a student, I took part in an exchange programme and spent one summer in the United States working in bars and restaurants and travelling. During that trip I acquired a very important skill, that also served me very well in London – I learned how to get 2-3 jobs in a day. I learned that if you smile and offer something to the employer, rather than asking him for something, you have much higher chances. So, instead of going around saying the pitiful «Hi, I am looking for a job», I approached people with a firm handshake and the positive «Hi, I would like to join your team», giving the impression of a confident person, ready to work hard and do a great job. Believe it or not, but after leaving my CV at the Prada store on Bond Street I was called back in exactly five minutes. The store's General Manager signed me for the position of a part-time cashier then and there. And although I was never good at math and calculations, I was happy to take on the challenge. To my surprise, I never made one single mistake! My other part-time jobs happened to be at a French bakery, which was very practical as I could also practice my French, and at a restaurant, where I was lucky to finally eat proper meals. When I think of it now, I don't know how I managed to do all of this, but back then I did not even notice any difficulties. If your dream is really big, every difficulty on the way to it would seem very small. And vice versa. I didn't know anyone in London and had no connections, but I was full of enthusiasm and intention to do whatever it takes to learn and make my dream come true. First thing, I enrolled at the Notting Hill district library, where I read all the available books on fashion. All the unfamiliar words were painstaikingly written down on separate A4 sheets with translations and memorized. Hundreds of words. Thats how I worked on my «fashion vocabulary». My first internship happened to be at London Fashion Week. I just sent an email to one of the addresses listed on the official website and got a reply. Of course, the internship had to be combined with classes in school and all my part-time jobs. At night I was writing my first articles for magazines and sewing new skirts and jackets for myself. I had practically no time to sleep. With my first paycheck from Prada I bought a ticket to Moscow, where I was invited to intern at Russian Fashion Week. I had been approached by Alexander Shumskiy, the president of RFW, who saw me working in the press office at London Fashion Week (the only Russian girl there!) and immediately gave me his business card. Of course, my family was surprised that I was not getting paid and worked in restaurants after graduating from a prestigious University. I was very worried that they didn't understand me and my dreams, but I continued to pursue them. Three months later, due to a happy coincidence, I got into British Vogue. Was it really a coincidence? I strongly believe that we create our own luck. One day I was just walking down the street and saw the sign «Vogue House». Out of pure curiosity, without second thought I opened the door and went in with my eyes wide open. The receptionist seemed very friendly and I shamelessly bombarded him with questions about fashion and magazines. From my burning enthusiam he must have guessed that I was really breathing fashion. He looked at me and said «Why don't you apply for work experience at Vogue? Bring me your CV tomorrow and I'll pass it to the right person». One needs to understand that internships at Vogue are normally booked up several months in advance. The happy coincidence was the fact that some intern, a student at from an expensive fashion school, allegedly refused to bring coffee to an editor and was dismissed. Trying to «fill the gap», Vogue called all the «extras» including me and I happened to pass the interview and was selected. Walking into Vogue House every day was a dream. I was incredibly excited about everything I was doing: packing suitcases with clothes for fashion shoots with top photographers and supermodels, learning mirriads of new terms and professional expressions and watching how the most influential editors of the best fashion magazine spend their days. I was overwhelmed with everything I got to know about the "backstage" of the fashion industry and wanted to share my excitement with the people like me, who also dreamt about a career in fashion but were unable to come to London. At that time Facebook and blogs were just starting, and magazines were writing only about the «official» side of the fashion industry. To make a difference for the «future fashion people», I started sharing my «backstage moments with «Dress Code», a new magazine that had just launched in St. Petersburg. The editor published my articles with almost no changes. I was at every fashion show during every fashion week and at every backstage to report first hand. And two years later Evelina Khromtchenko, the editor in chief of the very respectful L'Officiel magazine invited me to write for them. Two years later my articles appeared in Russian Elle and Vogue. 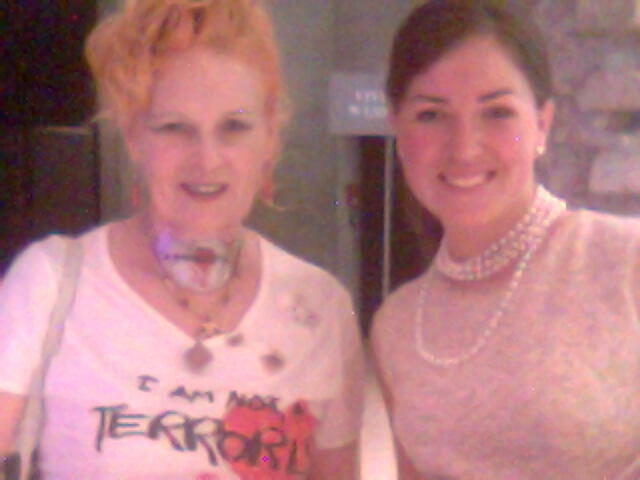 Paris Fashion week with Vivienne Westwood! How to start writing for fashion magazines? If your interest in fashion is true, sincere and all-consuming, you can get into shows, find part-time work to pay for travel and hotels and in time you will learn to write well. Coincidentally or not, but at the same time of my success as a journalist, I started receiving a huge number of compliments for the clothes that I made myself. Everyone from passers-by in New York to London Underground workers commented on my outfits! Once a young man approached me in the street and asked for my phone number. He said, "I want to buy the same coat as you are wearing for my girlfriend." I told him that I only made clothes for myself and he replied: "You should become a designer." I was very surprised and touched by his comment. So I decided that if ten more people come up to me asking where to buy the clothes that I'm wearing and tell me that I should be a designer, then I shall become one. And that's what happened. I have been making clothes for myself since childhood so I already had good sewing skills, knew how to work with fabrics, patterns and garment construction. I just had to take those skills up a notch. One day I was talking to my best friend and I said, «By the way, I decided to become a fashion designer and I want to study tailoring professionally». My friend responded immediately: «Well then, I'll introduce you to my good friend who runs a tailoring school». I was incredibly surprised that he hadn't told me about that before. He shrugged: «Well, you've never told me that you wanted to be a designer». The lesson is that you have to speak about your dreams openly and with intention. Of course, I still had doubts. There were a lot of things that I liked doing: PR, events, journalism, design. For five years in a row, during the Formula 1 in Monaco, I have worked at a charity event organized by Amber Lounge - the biggest Grand Prix afterparty. I started there as an intern and stayed for five years, compiling press lists, meeting two hundred journalists from the world's top publications, working with celebrity guests like Kim Kardashian and Elizabeth Hurley. On many occassions I heard a lot of critisisms for my curiosity and multiple interests. People said: «Katya, you're all over the place, not focusing on one thing, this just doesn't work. You don't have a proper home, you are always traveling here and there». Looking back at those comments now, I find it incredibly funny. I am very happy that I haven't been listening to anyone and kept doing the things that made me feel excited and made my heart sing. I have travelled the world, became a truly cosmopolitan person, learned four different languages, got to know how to understand and respect the cultures of people from different countries. I do not have and I have never had an official employment record or a permanent job. I've always been "my own boss" with all the freedom and the risks that it entails - no insurance, bonuses or paid annual leave. But I don't regret choosing this path. It's scary to think how different I'd feel now if I had listened to those who tried to get me back on the ground! If anyone had told me five years ago that I would be living in Dubai and running my own business, I would have never believed that. All the things that I have done, made me into who I am today. And every day I use the skills that I have acquired along the way: journalism helps me in writing texts and press releases, my experience with celebrities - in working with them now as a designer. 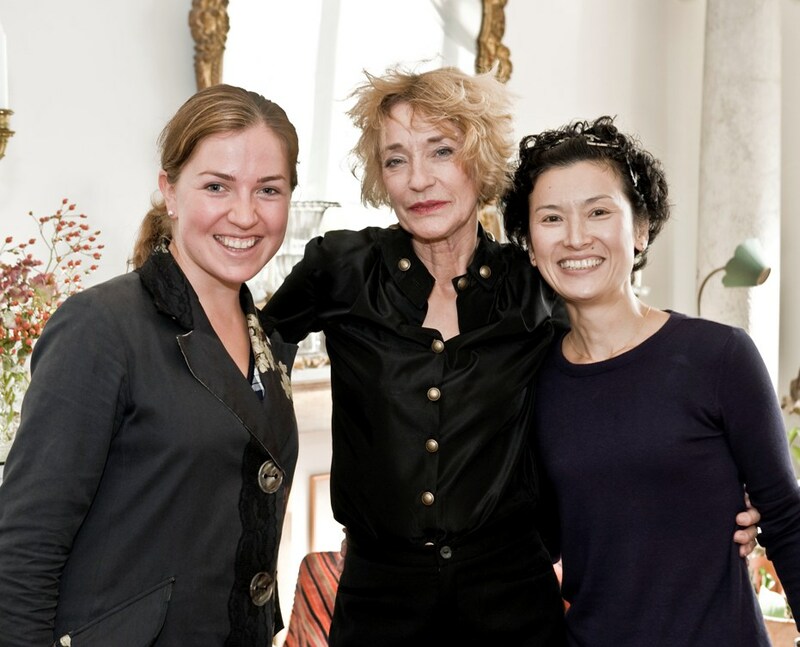 During my career in magazines and work with Amber Lounge, I had the honor of meeting the most interesting people from the fashion world, Olympic champions, artists. I also had a chance to speak with and ask for advice my business idol Richard Branson. Communicating with people like that inspired me immensely. I love the saying: "If you want to make God laugh - tell him about your plans." If anyone had told me five years ago that I would be living in Dubai and running my own business, I would have never believed that. I was invited to work in Dubai as an assistant at the Kenzo marketing department. At first, the offer seemed absurd: to work as an assistant after being published in Russian Vogue?! But upon reflection, curiosity won over pride. At the time I was already making the first steps towards creating my own label and was eager to learn about marketing while working for a prestigious brand, to explore a new country and a new culture. Upon arrival, I found out that in United arab Emirates it is relatively easy and affordable for a foreign national to start a business, get a license and sponsor one's own work visa. Initially I wanted to do it in London, but the set up prosess was much more complicated and expensive. Having lived in the UK for 5 years, I got used to being in the multi cultural society and speaking all my languages – Italian, German, Russian, English and French - on a daily basis. It became a very important aspect for me while choosing a country to live in. Dubai seemed like a very good option that ticked all the boxes – it is multi-national and it is «doable» in terms of business set up and its cost. When I go out, I like walking into a room and having all eyes on me. Therefore, my clothes are for girls who are confident, chic, elegant, independent, free from insecurities and stereotypes, girls who travel the world and set their own trends. Beach dresses and kaftans are one of my signature designs. They are transparent but still leave room for imagination. Girls from all over the world buy them when going to the Maldives, to the south of France or to Mykonos, for their vacations or honeymoon… Lady Gaga recently wore on of these dresses too! "At first the Emiratis laughed at me and wrote comments like: «Ahaha, so wearing a tent is now in fashion?!" My other signature, which actually is inspired by Emirates culture, is my collections of contemporary ready-to-wear clothes made of traditional bedouin fabric called «Sadu», widely used for upholstery. This is what people know me for in Dubai and across the Middle East. No one has ever made clothes with fabric that is normally seen on sofas and tents. I saw it not as a sofa fabric, but as a striking signature print, bright colors, something tribal, very boho chic and very modern. When I first discovered Sadu four years ago, I introduced my designs to a Russian online store called Trends Brands, where my coats sold out and from where they were picked by a stylist and featured on the whole page of Russian Harpers Bazaar next to Karl Lagerfeld and Fendi. I also started receiving orders from in New York, London, Paris and Milan. However, when I brought this idea back to the UAE, at first the Emiratis laughed at me and wrote comments like: "Ahaha, so wearing a tent is now in fashion?!". But I did not take it seriously, I knew that it will take time for this idea to be understood. 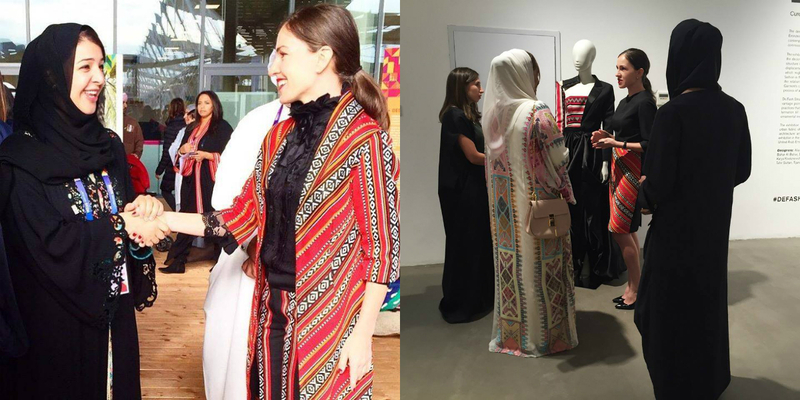 Now the ladies from the Emirati government buy Sadu jackets and wear them when traveling to represent their country abroad, while Sadu tunics are selling to clients all over the Middle East from Studio 8 boutique in Dubai Mall. 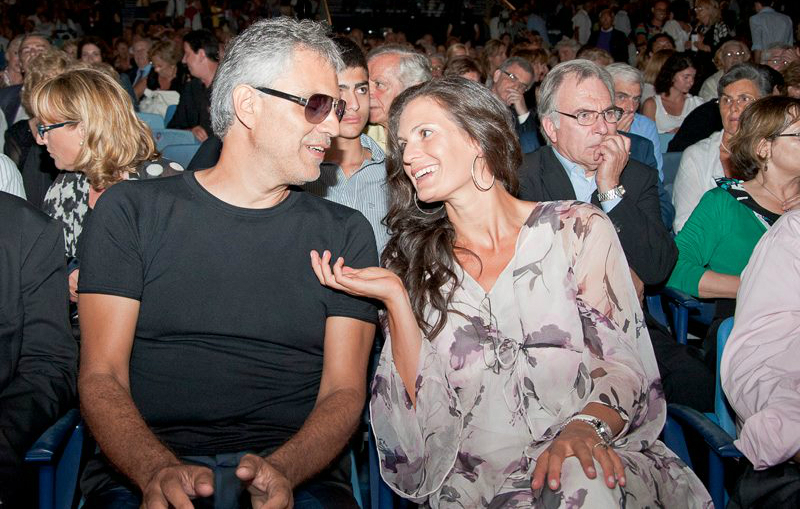 Last summer I presented the tunics and my resort line in the famous beach club Blue Marlin in Ibiza. Everything sold out! I have big plans for the Sadu project for the next year. My contemporary approach to working with Sadu in fashion has made me a sort of revolutionary who has changed the way we look at this traditional Arabian textile and earned my brand recognition on the governmental level. In September 2015 I was a part of the official government delegation "This Is Bahrain" and showcased my collection during a trip to Washington, DC, which was dedicated to the visit of Pope Francis to the United States in September 2015. In October the UAE government and the Expo 2020 committee invited me to officially represent the country with my designs at Expo 2015 in Milan. A special day was dedicated to the celebration of UAE culture and traditions and I was the only fashion designer who got the chance to showcase their work. I am incredibly proud that I had the honor to represent the country, which has given me so many opportunities for growth and business development, on the world stage. I believe in miracles and I think that if you really want something, it will definitely happen. When I was interning at Amber Lounge, a colleague who was a close friend with the royal family of Monaco mentioned that Princess Charlene had been in a bad mood lately. Without a second thought I said, "Maybe it will make her smile if I send her one of my dresses?". The colleague loved this idea, but insisted that I had to go and gift it to Her Serene Highness by myself. I was very stressed as it seemed so unrealistic. But when the princess arrived to our event, I put all my braveness together and approached her secretary. A month later I received a very touching thank you letter. This was the first big miracle in my career as a designer and it taught me that incredible things can happen - you just have to have the courage to take risks and take a few steps towards them. Today my dresses have been worn by Veronica Berti-Bocelli (the wife of Andrea Bocelli), Lady Gaga, Vanessa Hudgens, Freida Pinto and many more very inspiring high achieving women. I was also very fortunate to receive many more very special thank you letters from the royals across the Middle East. And I keep believeing in miracles and keep being very grateful for the ones that already happened! People tend to follow the style choices made by celebrities. When a famous person who can afford the most incredible outfits from any designer in the world chooses my clothes, it's a huge compliment for me as a designer. Of course, for those who are looking up to that celebrity – that choice serves as a certain guarantee of quality and recognition of my brand. When reading someone's business success story told in their own words, you understand that they reveal a lot but they are also discreet about some things. So here we ask questions about the things left behind the scenes. A success is like an iceberg, where 90% of the effort cannot be seen. What do you consider to be the key factors behind your success? There are so many. Sometimes I think that I was just lucky. But when I start thinking about the details and remembering what I went through, how many jobs I had to do in order to get to where I am now, then I understand that I've completely earned that «luck» and I've paid for it in full with my efforts. First and foremost, success is built on your persistence in achieving your goals, creativity, optimism and an ability to «pull yourself out of the swamp», just like Baron Munchausen. It is extremely difficult to forecast profits in retail, especially when you are just starting out. There are very good months and there are the not so good months. But in any case you have to cover the costs of production of the collections, the costs of fabrics, accessories, equipment, repairs, wages, rent, marketing, photography and everything else - you need to pay for it before you have even sold anything. There was a moment when I wanted to quit everything and spend a few months in India. The next morning I woke up, opened my Instagram and the first thing I saw was a photo of Lady Gaga in my dress. It was probably a sign from above. I smiled and realized that I must carry on and not go off the chosen path because of temporary difficulties. There were a lot of moments like this. When the time is right I will tell the whole story and I'm sure that it will inspire many people. But for now I should concentrate on my work. What do you consider to be your best investment? I believe that to know yourself, to understand what makes you happy, irrespective of society's opinions and imposed stereotypes - this is the best investment. Therefore, if you feel that you need help in understanding your goals and finding your calling, invest money in training programs and in sessions with a good coach or psychologist. Have you ever felt that you are losing direction? What has helped you to find your way again? I was recently invited to speak to an audience of four hundred students in one of the private schools in the UAE. The first thing I told them was that they need to trust their instincts, to do what brings them pure joy, what they can do for hours without noticing the passing of time. They should respect the opinions of their parents and the people who give them advice, but then to do as they themselves see fit; not to be afraid and not to plan everything in advance. My parents did not understand neither my interest in fashion nor my trip to London, but now they are happy for my success and they support me, because they saw that I have a flair for fashion and my designs make people happy. These principles of tenacity are applicable in any field, not just in the fashion industry. You cannot imagine how many messages I received from 11-15 years old Emirati kids from that school! Some letters touched me to the point of tears. I understand how my experience and my complex tortuous path can be inspiring for so many people! To be happy and, therefore, to do what you love – this is the only real purpose in life. And sometimes to be truly happy you must not be afraid to go against the opinions of the public or even that of your parents. What advice would you have given yourself five or ten years ago? I would have advised myself to change my priorities completely: instead of studying theory and getting good grades in school and at university (these goals are very much disconnected from the true life purpose - I do not even remember where my diploma is at the moment! ), I would focus on getting work experience in the area which really interested me and I would have worked on developping the necessary skills and abilities.